In the past 36 hours, my email has exploded with new information regarding massive troop and military hardware domestic deployment. There is a huge uptick in citizen reports regarding nefarious activities which relate to civilian internment inside of FEMA camps. In an ominous email sent to both myself and my colleague, Paul Martin, Colorado talk show host, Randy Yarbrough, sent a summary of a communication he recently had with Pastor Lindsay Williams. Talked to Pastor Williams this morning. He is concerned with: 1) currency reset sometime between now and the end of the year. 2) The town he lives in Fountain Hills, AZ. (EDITOR’S NOTE: FAR NORTHEASTERN SEMI-RURAL SUBURB OF PHOENIX) has a large number of retired military. A general made the comment that many of them would not be in the city past Sept 1st. No word on where they would go. 3) His elite friends have been urging him to leave the country or at the least have a “safe” place to go to. 4) He is not doing radio for the time being ,but said to stay in touch and he would call me if he had new info. To conclude that something big is about to go down would be putting it mildly. Should we, as Pastor Williams intimates in the abovementioned communication, prepare to leave the country by Labor Day, is open for debate. However, for the first time, many of us are left wondering if there are safer places than America. 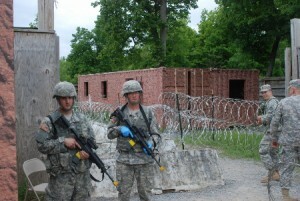 In a training activity at Ft. 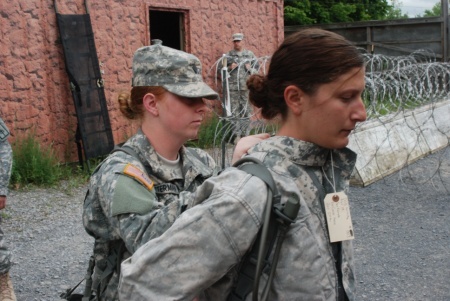 Drum, approximately 60 soldiers from the 102nd Military Police Battalion’s Headquarters Detachment practiced detaining American citizens simulated detention center. Should we be surprised? Training activities include biometric scanning of detainees, searching for contraband and dealing with unruly prisoners. The activity also consisted of constructing a makeshift detention facility from very sparse detention resources. In Lima, Ohio, a FEMA detention camp has appeared almost over night as this was brought to my attention by Kristie Caton as she revealed the emergence of suspicious activities in her community in the following email. I go to your website every day. When I first heard about the FEMA camps I had to investigate especially since I heard there was one located in my home town of Lima Ohio. I have read articles about it being in one of the prisons (we currently have Lima Correctional Institute, closed, and Allen County Corrections). I know several people that work there. In fact I did ask one employee if anything weird has happened there. This person stated (well trusted) that the state has put a new entrance to the closed state hospital that is located between both the prisons on same land. The state spent millions of dollars on the entrance alone. They also said that there was a crew working on the inside getting it in shape but the drills kept breaking supposedly so they stopped. (EDITOR’S NOTE: ARE WE TO BELIEVE THAT THE STATE OF OHIO SUSPENDED RETROFITTING OPERATION BECAUSE A FEW DRILL BITS BROKE?). My question is why all that money for a hospital that hasn’t been open in decades and why give up?? ?… But recently with the Jade Helm going on I decided to look up that area on a satellite image (which I have done several times in the past) to my surprise for the first time ever. 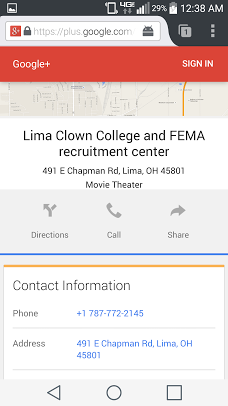 The map showed Lima Clown College/FEMA Recruitment Center. The only thing that surprised me was it actually showed up on the map. Of course I took a picture (attached) then I decided to look up the name on the internet (attached) it comes up with that name for Movie Theatre. Hum…….so then I decided to reserve lookup the phone number for that “movie theatre” because I didn’t recognize the area code. It said Puerto Rico (attached) just wanted to share my find because I know a lot of people have questioned where exactly the Lima FEMA camp is located. Im pretty sure this is the location of it. I will keep you updated as new things surface here. By the way I recently noticed that our Wal-Mart’s now have cameras on the roofs and several on many of the light posts facing 4 directions. I haven’t seen any military around not even with a tank plant in our city either and I do know for a fact that military and civilians work there. Less than a week after loud explosions and livw 50 caliber machine gun fire, courtesy of Jade Helm, Michigan is back in the news again.This time, Port Huron, MI. 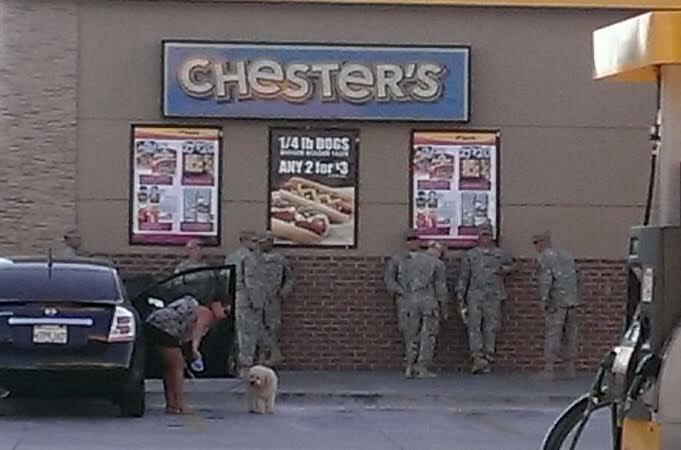 is the scene of the latest and invasive intrusion by Jade Helm forces. 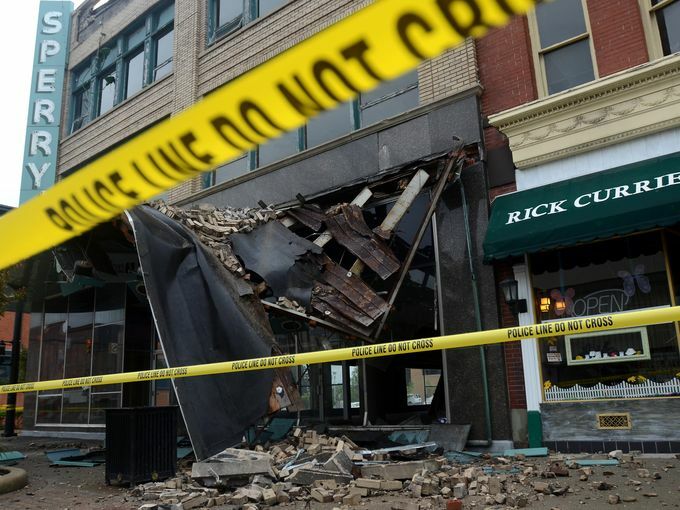 This time, a building was damaged in a military drill on the city’s main street. Just wanted to let you know there was a military drill conducted in Port Huron Michigan last night. We are about an hour east of Flint and right on the Canadian border. They damaged a building on our main street with the choppers and then conducted a drill in the empty School Administration Building. Go to TimesHerald.com Port Huron and there are pictures and video of the choppers landing and the troopsmoving through the Administration building. I heard the choppers going till at least 3:00 am this morning. Very troubling. There is more news from Camp Grayling, a known FEMA camp in northern Michigan. I wish every American soldier could read this email. The first contact is from Quartzsite, AZ. Something to keep in mind, Quartzsite would be the site of refugees fleeing California from the LA Basin. This is something that was foretold over two decades ago, on the Art Bell Show when Michael David Scallian had visions of massive amounts of refugees setting up camp on the California-Arizona state line. My name’s Ern Cunningham and I live in La Paz county, AZ. I thought you might be interested in these photos my girlfriend took today. 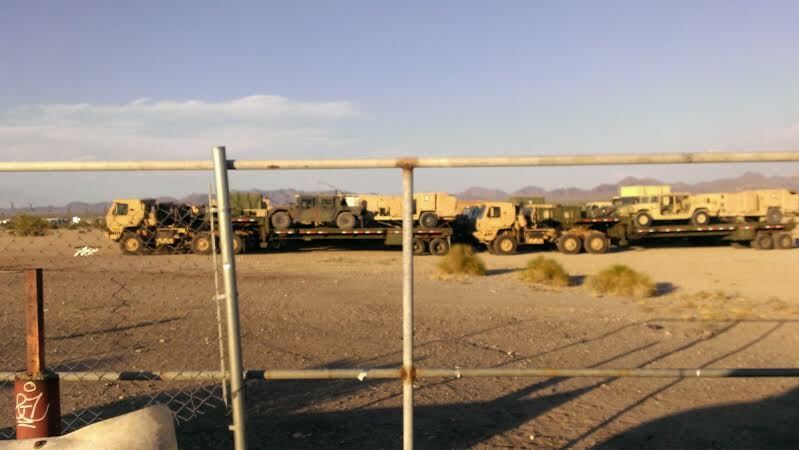 We were on our way to my work this Saturday evening in Quartzsite – we had just turned off exit 17 on I-10 at about 5:50pm when we spotted a group of military vehicles parked on an empty lot across from Love’s truck stop. 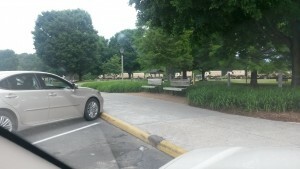 They must have just finished parking when we spotted them, as we saw several uniformed men walking from the vehicles and gathering at the truck stop. Didn’t see any tanks or anything like that but I was still surprised to see this collection of vehicles. I’ve never seen them do this in Quartzsite before in the three years I’ve lived around here. We left Quartzite at 11:30pm and drove past Love’s again on our way out of town. The vehicles were still parked there but we didn’t see any people around, so they’re definitely there for the night. My girlfriend and I are in Quartzsite several times a week, so I’ll be checking to see if they’re still there later this week. Keep up the good work! I read your articles often. I only wish more people did. Photos are attached to this email. More reports from the Flagstaff, AZ. area regarding massive troop movements. 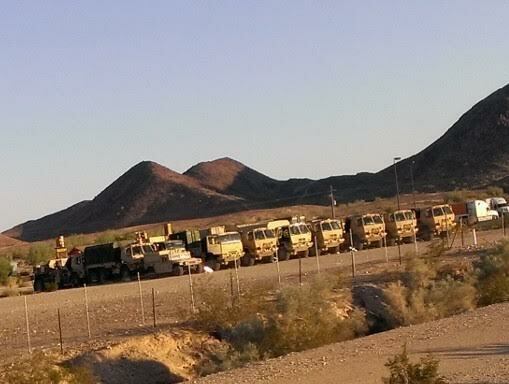 …There has been quite a bit over the past couple months as would be expected with Jade Helm. I’ve seen many convoys of various types on I-40 and I-17 as well. Camp Navajo at Belmont between Flagstaff and Williams has had a lot of extra activity also. I don’t know if anyone else north of you has mentioned any of this but it is getting quite frequent around here. Thank The Lord Jesus I’m washed in His blood! I received three reports about this activity in Virginia from concerned citizens. The activities are unprecendented and highly unusual. 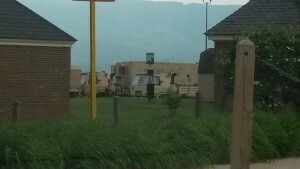 I was traveling on Interstate 81 in Virginia this past weekend and spotted this military convoy at a rest stop right before exit 264 on 81. After getting back on the highway, I also encountered another convoy on the road… Use these pictures as you see fit. In February of 2010 the Internment and Resettlement Operations (FM 3-39.40) was leaked, a U.S. Army manual outlininghow to process detainees into FEMA camps. In 2009 the National Guard posted advertisements for job as they were looking for Internment and Resettlement Specialists (31-E) to work in “civilian internee camps”. he National Defense Authorization Act For Fiscal Year 2011, which was signed by Barack Obama on New Year’s Eve of 2011 and it allows for permanent detention without due process oflaw. Civil Disturbance Operations (FM 3-19.15), describes the “operational threats of the civil disturbance environment,” the “general causes for civil unrest,” weapons deployment, the legal considerations of “control force operations,” the legal considerations of “apprehension, search, and detention,” and recording the “number of cadre and inmates injured or killed.” The manual contains rules of engagement regarding the use of “deadly force” in confronting “dissidents,” which were made disturbingly clear with the directive that a “warning shot will not be fired.” This is a shoot to kill document. Could it be anymore clear? And this is only the tip of the iceberg.